I’ve been fighting my personal allergies for years now and – unfortunately – come up with rather poor results. 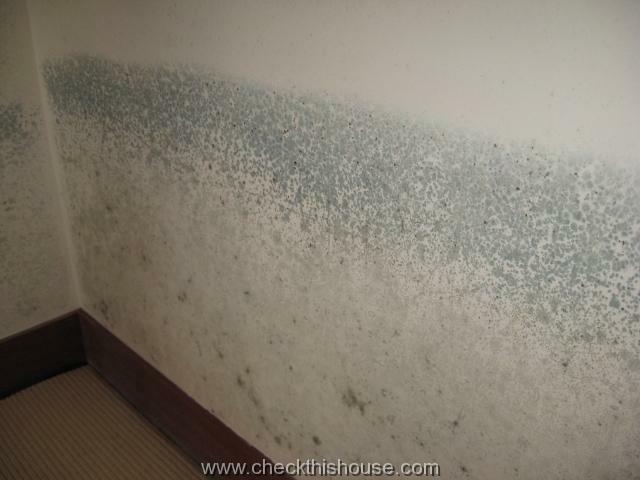 Crawling in mold contaminated attics, crawlspaces, and basements doesn’t help much after all my treatments and extends the entire immunization process … so believe me – I do understand your mold concern. 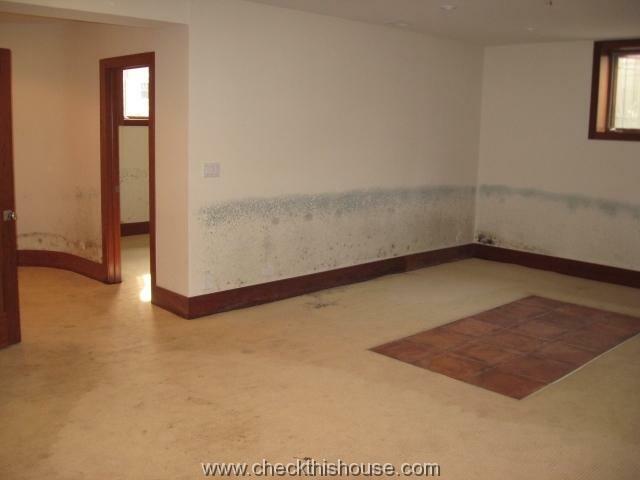 Hopefully, what’s below will help you to understand house mold a little better. 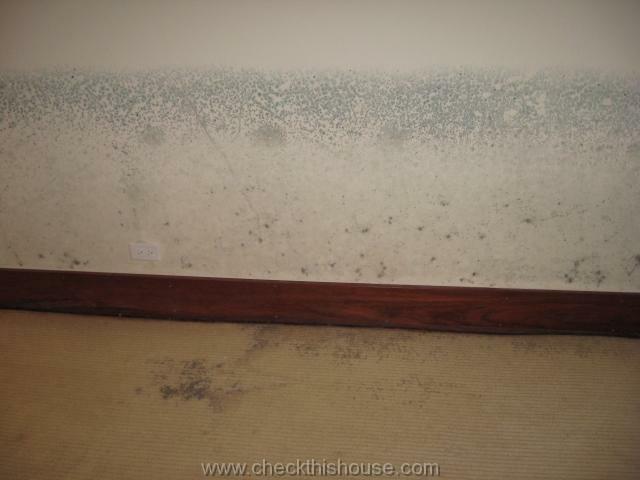 So … mold is a type of organism called fungi, which will flourish, spread and reproduce by making spores in a damp, humid, dark, preferably warm environment (interior and exterior). Many (there’s no known number of mold species, but estimates are in hundreds of thousands) molds are commonplace, and pose no threat to our health, but unfortunately, some of them are toxic and represent a serious health threat if they share our living environment. I have to tell you, that some extreme cases of Stachybotrys mold (often develops after flooding) that I saw could be easily mistaken for artistic painting, just take a look at the pictures. By the way, I felt sick after spending couple of hours in that contaminated house, so I personally disagree with CDC opinion. 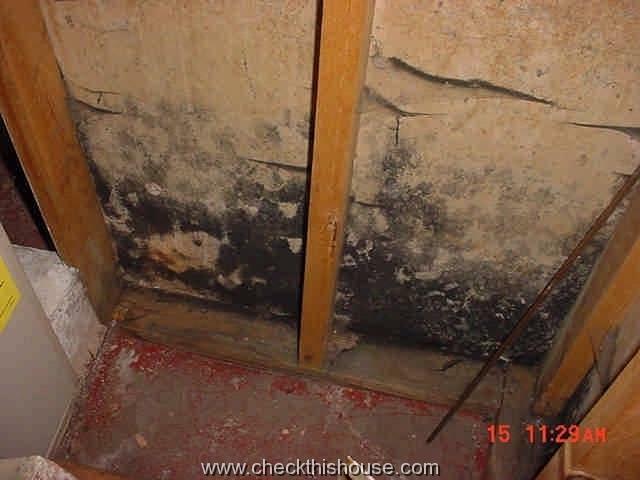 Because mold can grow on basically anything with favorable conditions, we should concentrate our efforts on lowering humidity level in our homes, providing constant air circulation specially for below the ground, basement / crawlspace sections and attic, extra attention to closets / storage compartments located along the foundation walls and any exterior wall. Window curtains, drapes, and blinds should be pulled back as frequently as possible, to release trapped, moist air and prevent or lower amount of condensation on window panes and frames – critical during the cold season. On the house exterior, all surrounding grounds and hard surfaces should always slope away from the structure to provide positive drainage. Vegetation should be kept a minimum of twelve inches away from the structure for the general welfare of the walls and foundation. 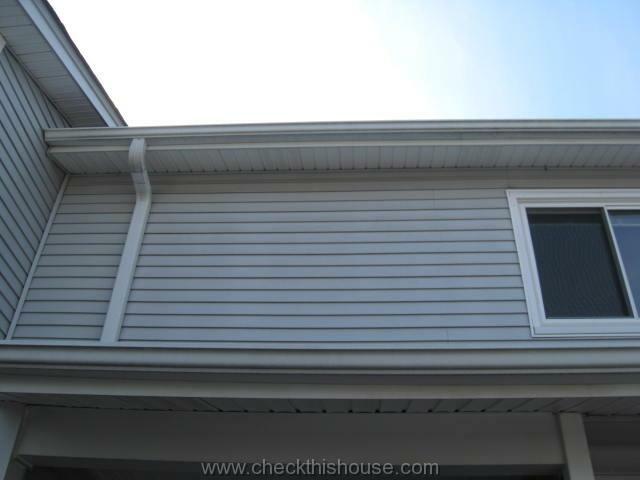 All interior and exterior exposed areas, which we have easy access to, should not present any difficulty in spotting discoloration or the appearance of an unusual substance on some surfaces. From this point, it is a matter of our choice if we decide to take any steps, test this substance to determine if it’s toxic or not, and then treat it if test results are positive (confirming toxic mold presence). Another factor which will certainly stimulate our decision (and probably shouldn’t) is whether this particular mold species is in any way affecting our health. 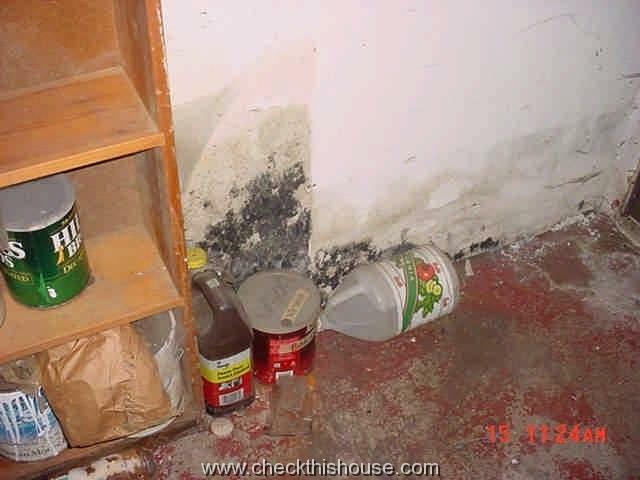 For some people there might be no immediate reaction, but even strong immune system could eventually fail, and if exposed to toxic mold for a long period of time, future consequences might be severe – if there is even a possibility of a remote risk, remove it as quickly as possible, particularly if small children or people with known, mold related allergic reactions occupy property. EPA recommends to hire professional for areas larger than approximately 10 square feet), and becomes “difficult and sometimes very expensive” if we don’t make a proper judgment at the right moment or simply are not aware of what is happening in some parts of our house. locate and eliminate moisture source … well, this part might be as easy as replacing a cracked, leaking pan under the flower pot, or dripping faucet … and as expensive as it is hard to imagine, but for our 10 square feet clean-up area I’ll stick with a faucet. Anyway – make sure that you completely eliminate moisture source, otherwise no matter how good you’ll perform next steps, mold will grow back. 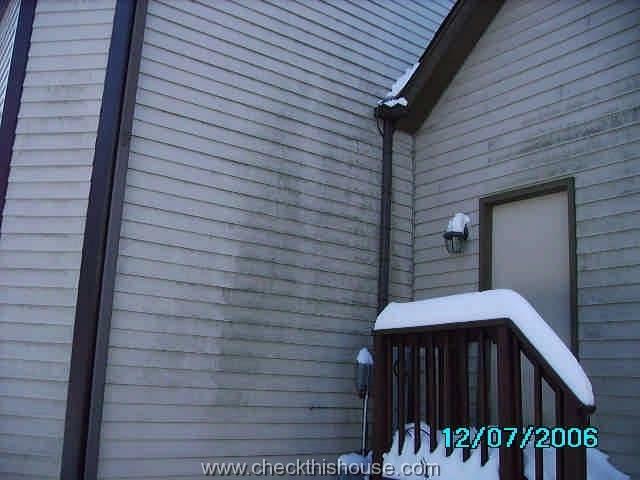 Use soap and water for scrubbing mold off surfaces??? If you decide to use chlorine bleach solution, NEVER mix it with other cleaning solutions or detergents that contain ammonia because toxic fumes could be produced. Dead mold may still cause allergic reactions in some people, so it is not enough to simply kill the mold, it must also be removed. (visible on pictures both sides of contaminated drywall, darker side was covered with paneling). As I’ve mentioned earlier, that there are some critical areas of the house where mold can grow and spread without us even noticing it. Sometimes, I have an honor to be the first one to ever visit it, and it is scary, but your house health and maybe your own may depend on it. So please take my good advice – if it is accessible, examine it periodically or ask your good neighbor to do it for you. If there’s no access but house structure / shape suggests such space exists, try to make it accessible. About inhaling mold while inspection- you should always use face respirator, or a mask to protect yourself from thouse spores and mold in the air.